Since 2005, John L. Ward has served as both an operating partner and general partner with private equity funds. Private equity provides a significant percentage of the funding for mergers and acquisitions globally and is generally defined to include buyouts or investments in mature companies by equity limited partnerships. Equity value for investors is created by changes in governance, strategy and operations of existing companies. Private equity can be used to achieve alignment of management and ownership interests. With private equity capital, the management group normally maintains a significant ownership stake. Management thus is incented to act in a manner consistent with maximizing the interests of all shareholders. The use of debt also becomes an important tool for creating equity value with private equity. Since 2005, John L. Ward has served as both an operating partner and general partner with private equity funds. In total, he has been actively involved in evaluating over 200 potential private equity investments which resulted in the acquisition of 15 companies with an aggregate value of approximately $250 million. In addition, through the firm’s proprietary Think Like an Investor® program, we also consult with a select group of early stage and mature companies to help them build enterprise value. We work closely with the senior management at these companies to improve their current product offering, expand their scope of services and more effectively serve their clientele. Our compensation normally includes a component that is equity-based. This section presents several representative private equity investments. 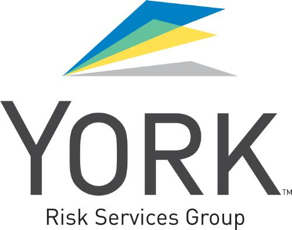 York Risk Services Group (York) provides claims handling, specialized loss adjusting, pool administration, managed care services and other risk management services for public entities, industry programs, self-insured entities and insurance pools. York selectively targets market segments and clients that recognize and are willing to pay for the company’s ability to improve overall claim results and cost of risk rather than simply minimizing claim handling expenses. York is the largest catastrophe and large loss claims management firm in the industry. John L. Ward was a significant investor in York from April, 2005 until its successful exit in December, 2010 to ABRY Partners. During this period of ownership, eight add-on acquisitions were consummated. John L. Ward also served as a director of York and Vice Chairman of the board. For more than a decade, Supply Dynamics has helped global Fortune 1000 manufacturing companies solve complex business challenges. The company provides best-in-class technology, processes and on-demand solutions to help address the challenges of managing sourcing, procurement and supply chain complexity in highly distributed manufacturing environments. Through his relationship with Queen City Angels, John L. Ward is an investor in Supply Dynamics. KGS-Alpha Capital Markets is a New York-based institutional fixed income broker-dealer focusing on asset-backed and mortgage-backed securities, including credit and agency instruments. The company’s mission is to provide institutional customers with financial services in an expert, professional and ethical manner. The company’s management team has extensive background in the securities industry. John L. Ward is an investor in KGS-Alpha Capital Markets.